Should Liverpool Take More Pride In Their Global Superstar Mo Salah? SOMEBODY once asked me what my biggest gripe about Liverpool city centre was on an Anfield Wrap episode of AFQ. I could have mentioned the newly built “haunted house” eyesore that had opened on Dale Street which looked completely out of place. Or the fact that I constantly forget that Bold Street isn’t pedestrianised and end up looking like a pallbearer leading a funeral procession every time I walk down it with my earphones in, oblivious to the horns behind me. However, my answer came from a different source of frustration. It was that there is a better mural of Mohamed Salah in New York than there is in Liverpool. 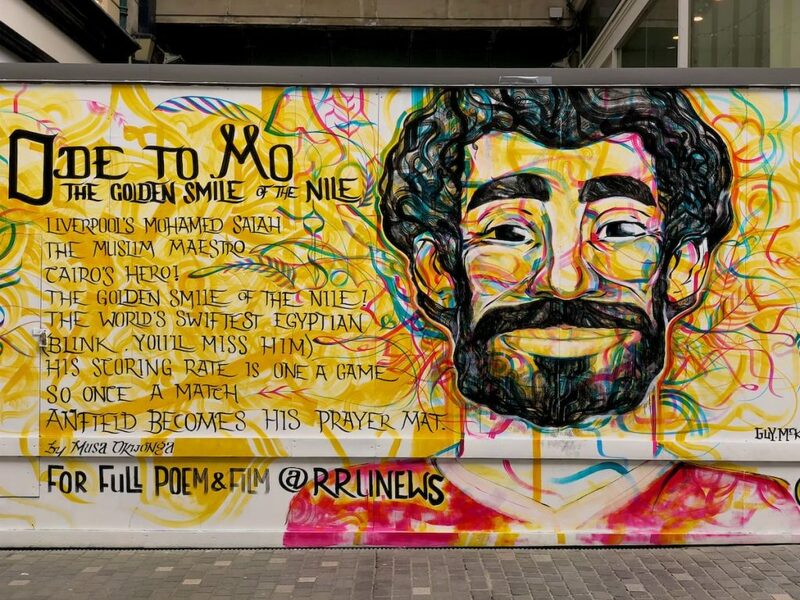 Having recently been to New York I had witnessed the large colourful mural of Mo draped in his Egypt shirt with his hair and beard decorated in colourful patterns at the side of a central building in Times Square. The answer I gave was not to in any way decry the tribute made to him which appeared just off Church Street in the city prior to last season’s Champions League final. My gripe was that, after living here my entire life, I have on more than one occasion been left to feel this city doesn’t celebrate itself and the good things happening here enough. It doesn’t push its chest out and act in the same way it would if anybody tried to tell us we aren’t that special. To me, this place should be constantly displaying and showcasing the things that represent it in the best light. Musical influence is thriving here; Liverpool FC has a world superstar and global success story on their hands, Everton have Cenk Tosun. You get my point. Maybe though, it was also a reflection of Salah? Such was his impact on Merseyside during his first season it was impossible not to feel his presence wherever you went. Fast forward almost 12 months and in certain quarters people will tell you that his on-field influence is on the wane and that maybe his star is no longer burning as brightly. They will tell you this as Liverpool sit top of the Premier League and are in a favourable position in the last eight of Europe’s elite competition for the second year running. They will also tell you this as the player is sitting on 20 goals and nine assists heading into the final two months of the campaign. Yet despite this, on the rare occasion Liverpool have drawn a blank in front of goal this term, attention has inevitably shifted to their number 11 as the embodiment of his team’s frustrations. Salah was always going to be a marked man in his second season. The whirlwind of brilliance that made goals such as Everton and Roma at home his trademark have been replaced by manikin-like figures crowding both him and the areas he was taking up and reaping the benefits from. He is now double, even treble marked at times from opponents. 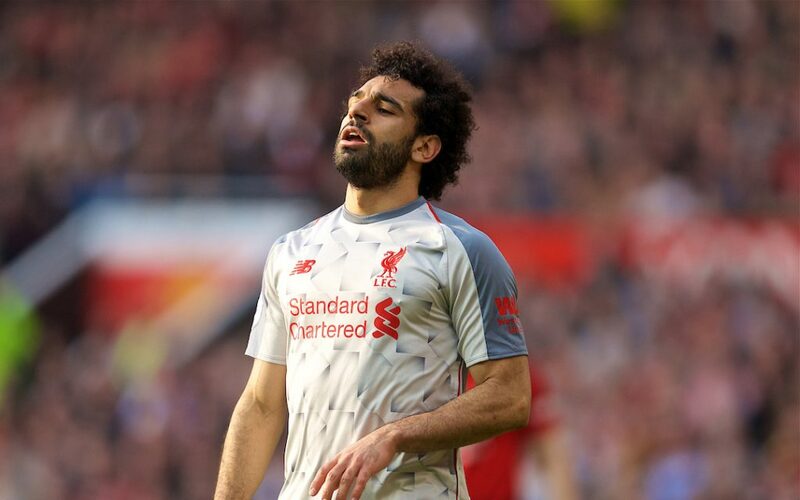 The mantra of “stop Salah, stop Liverpool” has undoubtedly been frequently mooted in dressing rooms prior to facing this Liverpool side. There is no doubt that Jürgen Klopp and his management team are aware of this. Although the question hasn’t yet been asked whether they are in fact OK with Salah not having the impact he previously did, and have maybe sought to use the opposition focus on Salah to their advantage. Salah has represented a sacrificial figure in recent weeks, finding himself back on the right of the more familiar 4-3-3 system, often seeming at pains with running down blind alleys and the lack of opportunities presented to him, or those he hasn’t taken advantage of. While some have been quick to lament his character and body language as moody and selfish, there has been a distinct lack of praise for his defensive efforts and perseverance and balance in attack which has unquestionably opened up space on the pitch for others. Not to mention his assists in games such as Burnley and Bayern Munich. For how great Sadio Mane has been, the prospect of such spaces opening up for Salah remain as unlikely as a Manchester club not singing about Liverpool during a game from now until the end of the season. 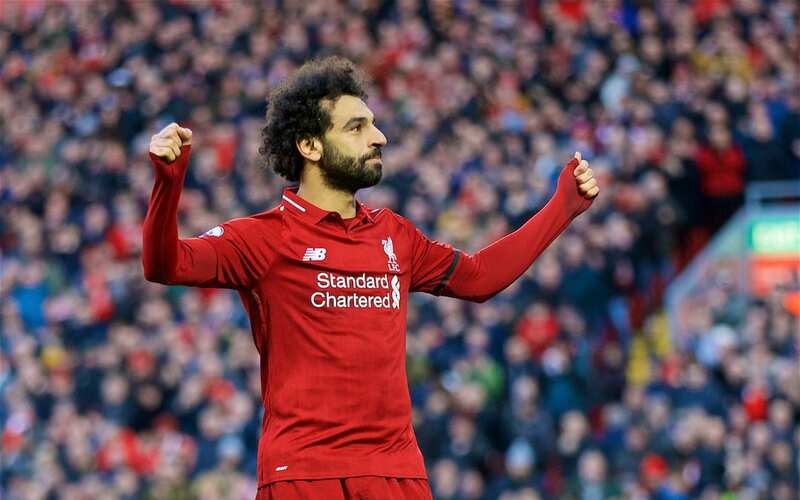 Salah has shown a willingness to be a more cognitive function of Klopp’s system and philosophy, which strives to ensure the threat level to the opponent is anywhere on the pitch at any time and not just from the Egyptian star. To subconsciously burden Salah with being the singular responsible attacking threat is doing the collective a massive disservice. It is even maybe drawing unwarranted parallels to the Steven Gerrard, Fernando Torres and Luis Suarez era’s when the club felt dangerously fragile due to its reliance on one individual. 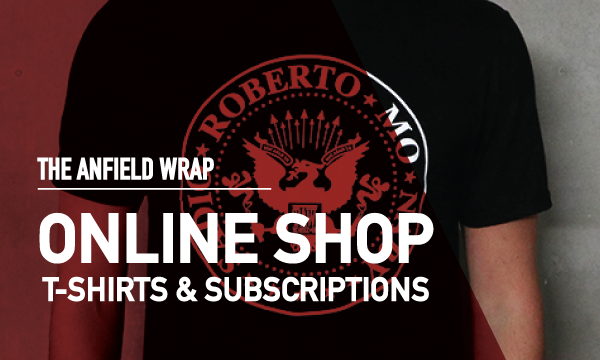 Liverpool has three world-class attacking talents, backed up by a myriad of midfield facilitators and enough defensive solidifiers to give this side a multifarious platform on which to perform. The draws at Goodison and Old Trafford recently were not evidence of a team’s leading light criminally out of form at the time they need him most. They were merely an example of how life would look if such foolish notions were ever true. 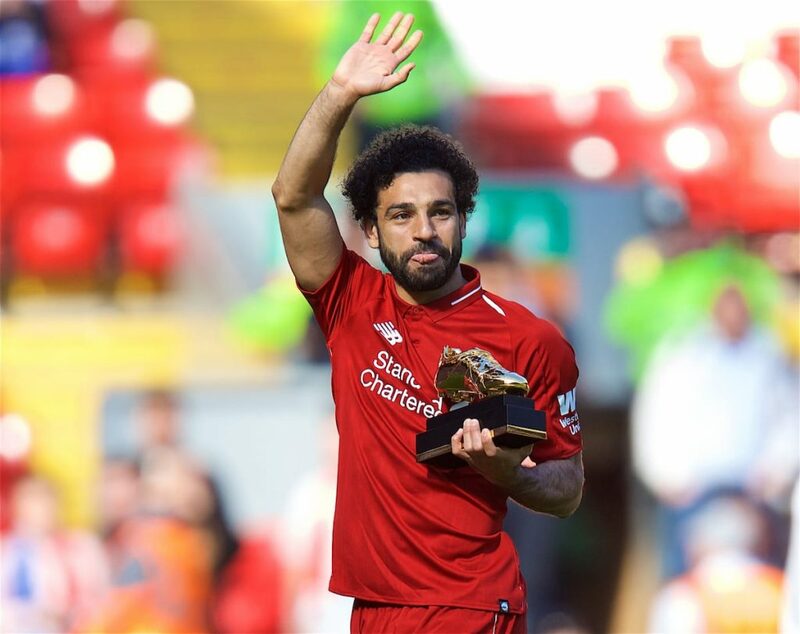 Last season, as the season drew to a close, Salah found himself in a golden boot foot race with Tottenham’s Harry Kane. At that time there were hints and allegations the team and player was trying too hard to make him the scorer of all goals while a race for Champions League glory and future qualification remained in the balance. Twelve months on and the player remains hungry for personal accolades. However, they now come in the form of domestic and European winners’ medals he and his teammates so desperately crave. It should therefore be noted that everything that Salah does and is asked to do will be done with the hope and determination of achieving that collective and shared aim. Salah is a reflection of a football talent taken to stratospheric levels by the empowerment of the Liver bird on his chest. This is something which only seems to happen at this club, and when it does is a privilege to behold. Both he and his Liverpool team are currently a credit to this city. If they reach the heights they have put themselves in sight of this season, Times Square will pale in comparison to its Concert namesake, and the faces of those in red will light up here for an eternity. “You can’t have a parade for beating Fulham but yesterday was huge. The “stop Salah stop Liverpool” mantra started in last year’s European cup final. Salah’s confidence took a kicking that night & it’s debatable whether he’s fully recovered since. Having said that, he’s doing fine & nobody in their right mind would swap him for anyone else in the premier league. Shockingly poor officiating stopped Liverpool that night. Ramos should have been red carded for the foul of Karius. Salah has 17 goals and 7 assists. Kane, Aguero and even Mane haven’t had that much influence. He’s playing pretty welll; once he gets number 50 his goal drought willl end. I remember the mural that Napoli did for Maradonna. A whole side of a building. We should have all our greats placed on the side of building throughout the City.